NetSuite SiteBuilder has a basic cart and checkout turned on by default. There are limited customization possibilities and it is not responsive, so it is a good idea to upgrade. Fortunately, NetSuite offers a free download of the same cart /checkout / customer center that SCA uses, though modified for use with SiteBuilder. This bundle has near feature parity with SCA, is responsive, has more customization options; but it needs a few hours to install, add to your site, & customize to your exact needs. If you want to stay with the standard cart and checkout there are few things we can do (see below). 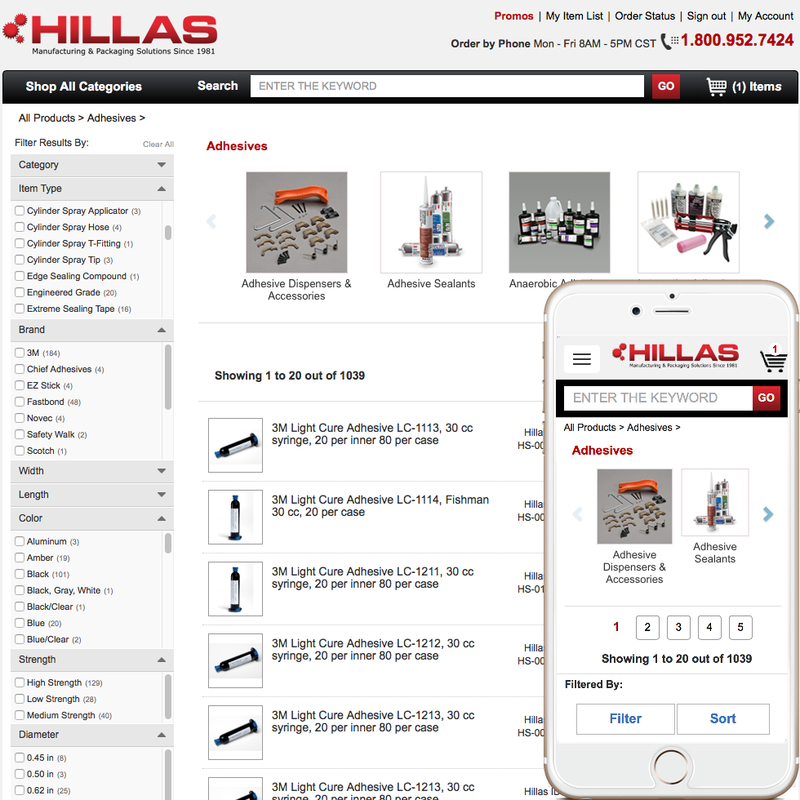 If you want your handheld users to more easily checkout and view your customer center, have us install, and customize, the latest SCA for SiteBuilder. Give us a call. From USA call: 302.304.8404. SiteBuilder's Cart and Checkout does allow for basic modification of the text and columns displayed. In order to make the cart and checkout look reasonable, the look needs to be updated using CSS. It has few features that have yet to be added to SCA for SiteBuilder Cart/Checkout: optionally displaying the shipping options (and pricing) on the shopping cart, displaying related/upsale items on the cart, easily adding custom transaction body fields and... well, that's about it. We've come up with a few customizations of our own that can be added to the standard checkout. Along with our styling techniques the most requested has been custom code to adjust the shipping options displayed based on what is in the cart; adding tool tips to the shipping methods; hiding custom transaction body fields, and more. If you need to stay with the standard checkout, but need a little more, give us a call. This latest cart and checkout is customized by "extending" the module that needs modification. Then the whole set of files is compressed and uploaded at once into NetSuite via a terminal session using GULP. This customization ability comes with a cost: some of the features of the standard checkout are not available, custom transaction body fields are not automatically added, and the footer and wrapper of your site is not included by default. All these need to be installed manually. But the customization-ability more than makes up for these few limitations. If you just want to have the latest checkout installed right, give us a call. Creating a heavily customized, checkout-directed, header only for checkout pages. Matrix child item images displayed instead of parent image; red jacket shows a red jacket! Modify the shipping method display in order of price, plus our Shipping Tool Tips! 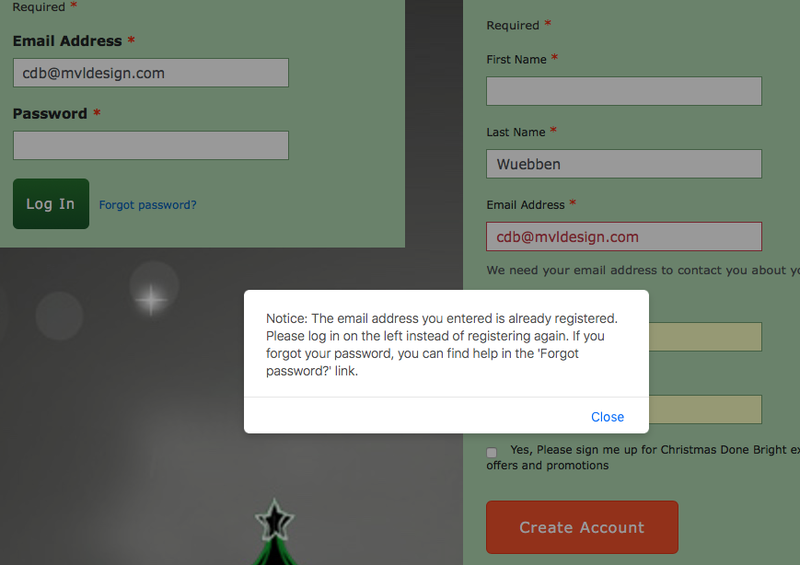 Upon login from the site, return to the website page instead of the Customer Center. NetSuite newest checkout takes your users to the Customer Center when they login by default. No way to easily set it to go to the page you were on when you clicked on the "login" link. We have code and techniques to make that work. When a user already has an account with you, but uses that same email address to create another account or guest checkout, NetSuite allows it. Some of my clients have 7 or 8 accounts from the same user. So, we created a module that disallows users from creating a new account, or checking out as a guest, if they already have an account with you. Do you have matrix items that have color as an option? If so, you'll probably tired of seeing the parent item thumbnail in the shopping cart AND the checkout mini cart. It is confusing and now unnecessary. We have the customizations for the cart and custom scripts for the checkout that allows you to use a custom image that is on the child record for display in the cart. Now when they purchase a red jacket, they see a red jacket in the cart and checkout. Super! The newest checkout has another added feature, when you input a credit card number, another box appears asking for the credit card type. How many times sites users, site owners and even we have missed that (during testing) is uncountable. If in single page checkout, when you click on the Continue button, nothing happens, as an error message up on the page that you don't see appears So, another module tests the credit card number and sets the type for your users. Now when they click on the Continue button while in Single Page Checkout, they will get to the next page instead of an invisible error message. The new Customer Center is great. 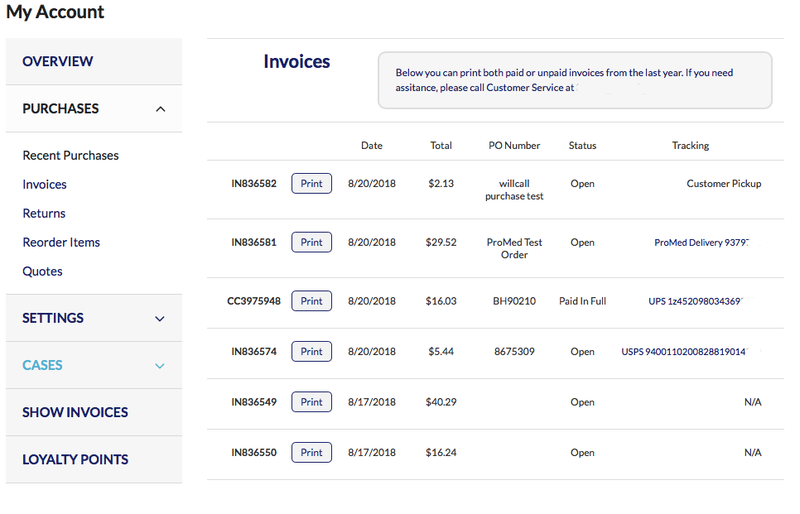 But if most of your users pay via invoice, and your invoices don't always reflect exactly the Sales Order, then they currently have no way to download proper invoices, open or closed. Our module allows your customers to see actual invoices, download them for printing, shows invoiced amounts, invoice status and tracking numbers. If your orders can be shipped and billed in pieces, or if your invoices are not exact duplicates of the Sales Order, you need this module. To have the latest checkout installed and customized for your exact needs, give us a call. ** The previous version of NetSuite expanded cart / checkout for SiteBuilder bundle was called Reference Checkout. Version 2.03 was the first we could recommend for use in SiteBuilder websites. Version 2.05 was the last version of Reference Checkout to be made available (August 2015). RC is customized by changing the templates and uploading those to the appropriate folder in Live Hosting Files. One of the best features of SCA for SiteBuilder is the My Account pages (Customer Center). 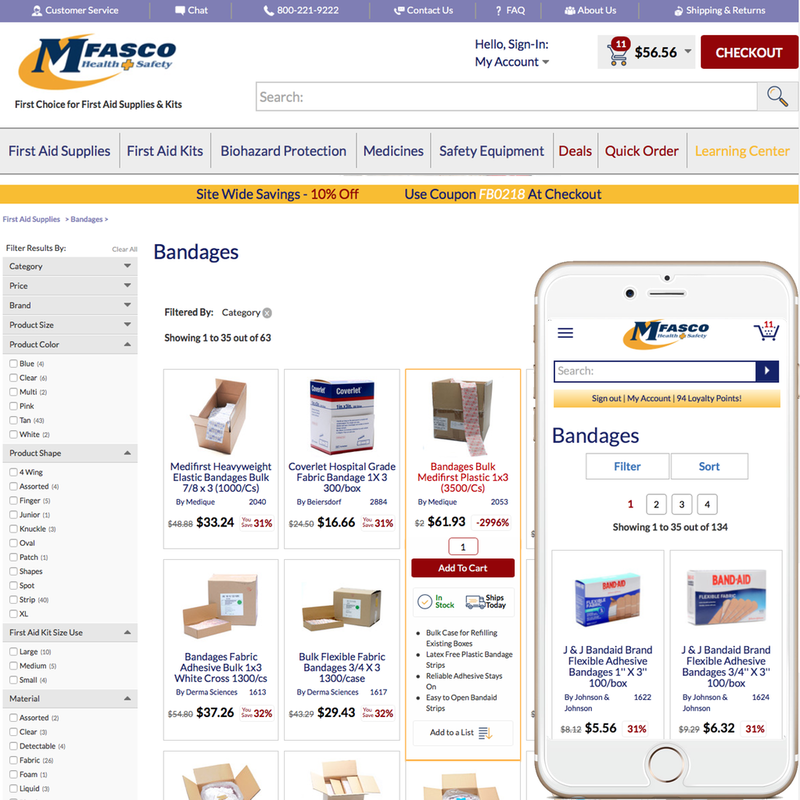 It is fully responsive, and allows your customers to easily check previous orders, get tracking numbers and submit a case for customer service. It comes as part of the same bundle and is installed automatically. The only customization needed is to add your sites footer and wrapper, NetSuite takes care of the rest. Since 2004 we've been building world-class websites for NetSuite SiteBuilder users – adding unique styling and customizations. View our portfolio to see for your self. Tabs for Overview, Reviews, Specs, etc. *Responsive Cells: We create responsive item list cells completely differently than anyone else. The cells expand horizontally until an additional cell can be added. It is graceful and barely noticeable. Our cells also expand vertically, meaning you can have different amounts of information in each cell, yet ALL the cells in any given row are all the same height. Finally, our method encourages two cells per row on handhelds in portrait mode, instead of everyone else's single cell per row. Makes shopping easier. And best of all they still use normal NetSuite SiteBuilder templates and layouts. 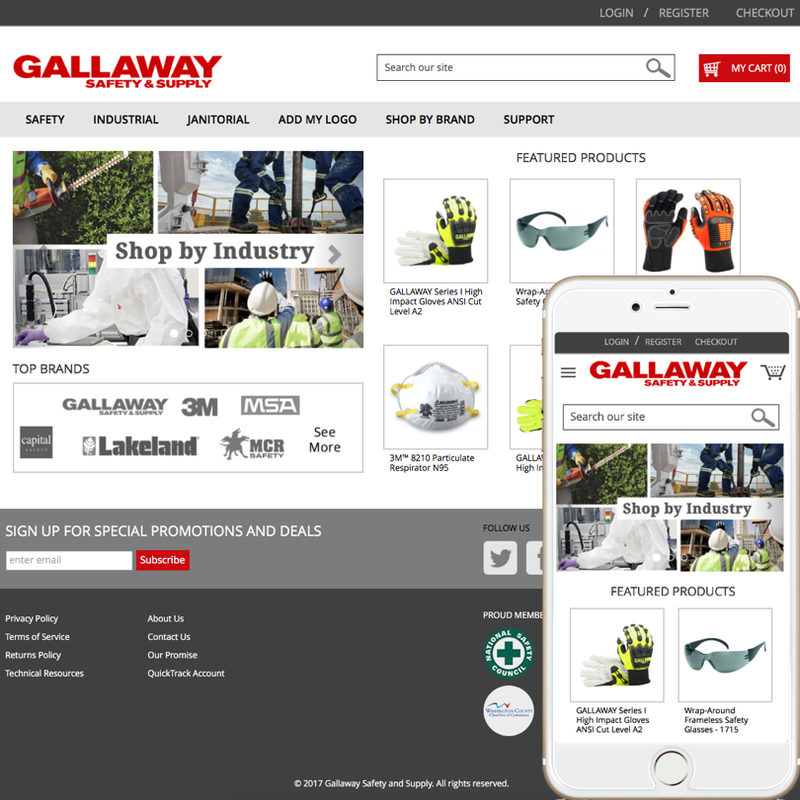 Check them out; our responsive item list cells are fantastic! **Unique Filtering/Facets Our filters work on the item list or category list level. Items displayed can be filtered by any custom item field, or by price range. Unlike every other filtering system you've seen, our system updates content immediately, without additional server requests. Every category is maintained the standard NetSuite method you currently use: it's just now you have filters/facets. 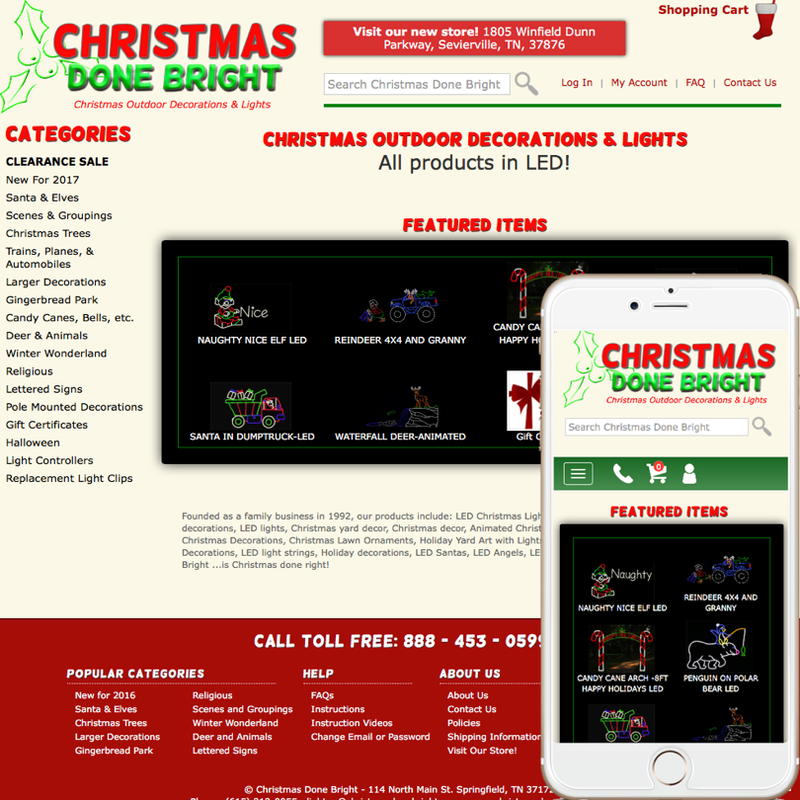 Totally responsive – working great on handhelds! All data stays internal to NetSuite so your business data is secure and under your control - always - with NO EXTRA MONTHLY FEES. (All the data is pre-rendered via daily scripts.) In handheld mode the filters display like a typical 'hamburger' navigation. ***Item Suggestion / Typeahead Search Immediately displayed dropdown of item suggestions or type-ahead search phrases on your normal NetSuite global search. NO EXTRA MONTHLY FEES. We can make NetSuite SiteBuilder websites be fully responsive, yet be internal to NetSuite using the normal layouts and templates. We can customize your NetSuite SiteBuilder templates to add ANYTHING you can need. Unique, effective and easy to maintain. 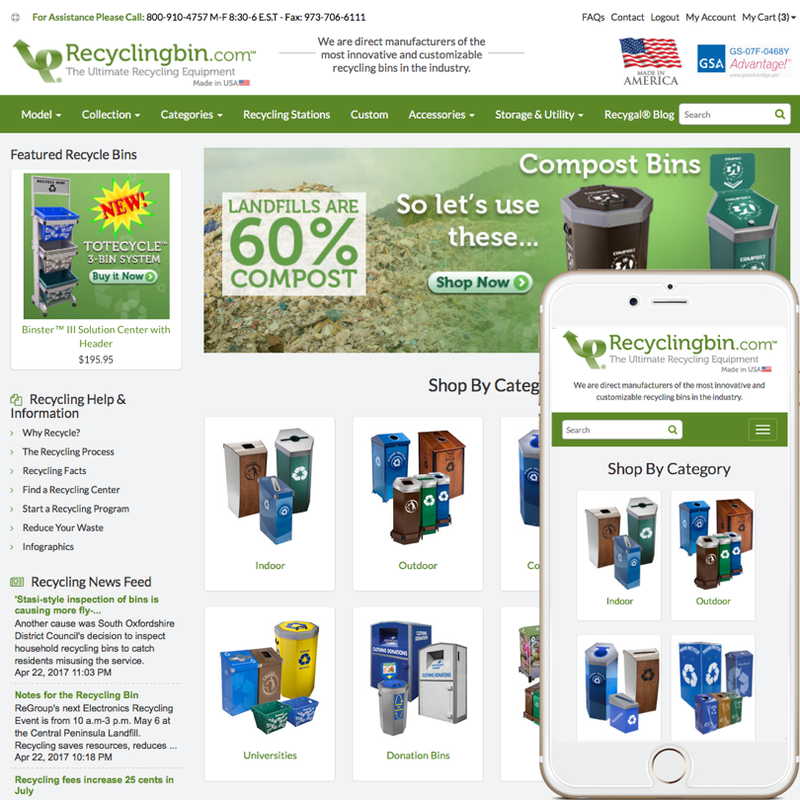 Want a more customized Shopping Cart and Checkout? Let us install NetSuite's latest & your handheld users can purchase with ease. 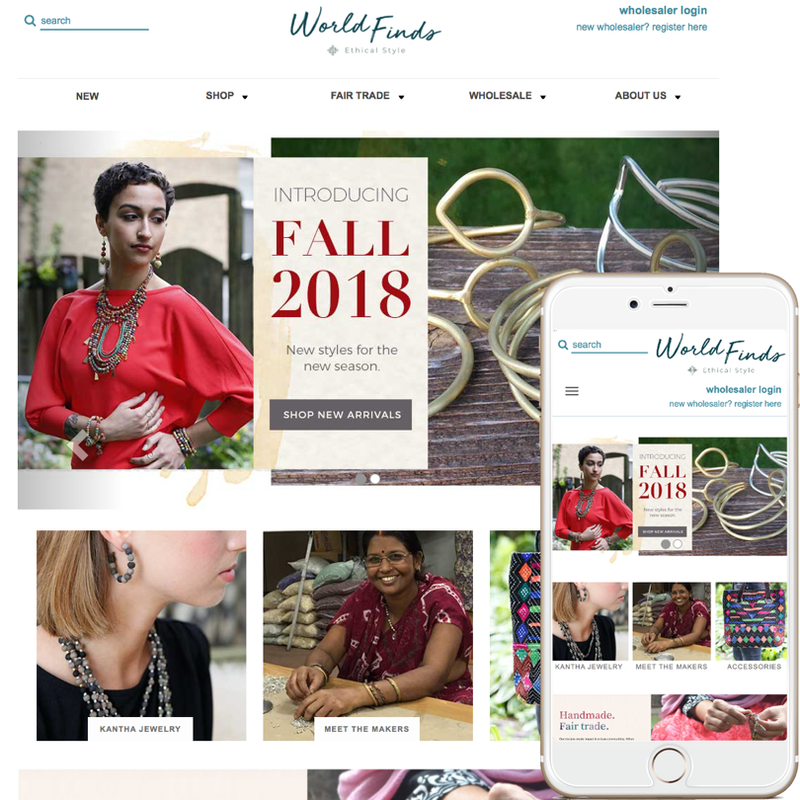 Since 2004 we've been building world-class websites for NetSuite SiteBuilder users – adding unique styling and customizations.